As a business, mastering the art of writing a great press release is definitely a valuable skill. Press releases are the bridge used to pass information about your company to other businesses, the general public and consumers, yet many struggle to understand how to write them. The better your press release, the higher chance you have of getting a journalist to publish an article about it, which leads to more publicity for your company. In this article, we cover some points to remember when writing your next press release. It is important to have a headline that is short, yet aptly summarises the purpose of your press release. Overly-lengthy titles can often be overlooked by journalists and readers, and while there have been studies showing that longer headlines often perform better on social media, shorter headlines are more suited for search engines, as Google truncates longer titles. Pay attention to your headline, revising it to be most appealing can have a dramatic impact on your article’s engagement. Buzzsumo reviewed the effectiveness of 100 million headlines and this is what they found. A good first paragraph for a press release includes as much information as possible, while still maintaining coherence and flow. Journalists will often read through tens of dozens of press releases per day, so it is imperative to convey your information as early as possible in your writing. Strong information to include in the first paragraph includes the what, where, when, who, why, and how of the press release. Having links to your website, an email address, and possibly a contact number within your press release assist journalists in constructing their articles. By including relevant contact information, journalists can easily reach out to you to ask further questions, which can help them create higher quality articles. Including your company website in a press release on a PR service such as The Manufacturer PR Service, means it can be easily seen by others within the manufacturing industry, as well as the media. The Manufacturer editorial team itself uses The Manufacturer PR Service as a resource to find stories and is a much more efficient way of submitting content to journalists whose inboxes are overflowing with potential press release content. Knowing the audience you are writing the press release for can help ensure the right people read it. Targeting journalists within a specific niche or subset of an industry can be useful, as they may find it trickier to find relevant articles to write. Consider researching the niches of your consumers and the media they consume before creating your press release. Utilising a link to your website in your press release is not only a good way to get more direct traffic to your website. 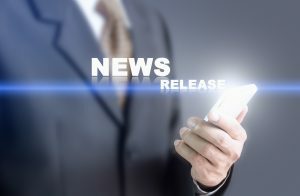 The use of a press release and publication on a PR service newswire, such as The Manufacturer PR Service, also provides a fantastic SEO benefit. By including a backlink to your company website in your press release, if it is picked up by a reputable and relevant source, your website’s Google ranking will benefit. Don’t be afraid to use press releases to get your name out there. It is an inexpensive marketing tool that can delivery great results, immediate leads and also an SEO benefit to your own website.